Apple has been having early discussions with Hollywood executives about producing original video programming in a bid to potentially compete against companies like Netflix, Amazon and Hulu, according to a new report from Variety. Sources indicate the Cupertino, Calif. colossus has held preliminary conversations in recent weeks with executives in Hollywood to suss out their interest in spearheading efforts to produce entertainment content. The unit putting out the feelers reports into Eddy Cue, who is Apple’s point man on all content-related matters, from its negotiations with programmers for Apple TV to its recent faceoff with Taylor Swift. It's currently unclear how large Apple's ambitions and commitment to producing original video content are, as sources have told Variety contradictory things about the Cupertino company's plans. One source says Apple wants to create development and production departments that could create long-term content like Netflix does with original TV shows and movies. Another source says Apple is "flirting" with the idea, and launched an "unprecedented bid" to sign Top Gear stars Jeremy Clarkson, James May and Richard Hammond when they left the BBC. However, Amazon ended up winning that bidding war. In recent years, Apple has hired independent film content experts to shore up iTunes Movies' independent offerings with exclusive windows on films and a broader selection of content, including offering movies available for rent before or during their theatrical runs. More recently, Apple has expanded into original content with its worldwide Beats 1 Radio station and music videos for artists like Drake, Eminem and M.I.A., which are reportedly produced in-house. 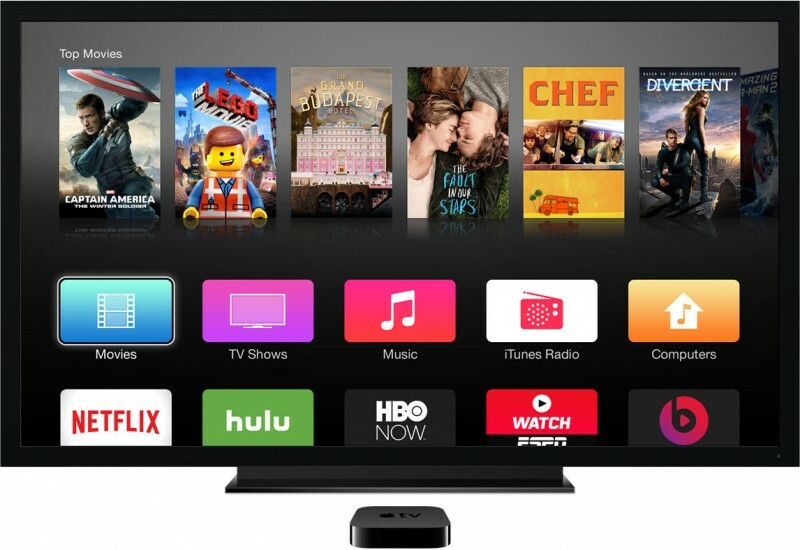 With Apple's rumored live TV-over-the-internet service coming in 2016, it's likely the Cupertino company could be looking for original and exclusive content to lure customers to its service rather than its competitors. Not a fan of this at all. Apple doesn't need original content and Eddy Cue should be focused on making iCloud, Apple Music and Siri best in class. They're not right now. If he really wants to do this then Apple should spin off Beats into its own company and Cue can go run it. Then Cook can poach someone from Google, Microsoft or Amazon that really understands internet services. I wouldn't mind some self-referanital material. Imagine a generic sitcom in which every character wears grey t-shirts, lives in a nondescript white room, and talks like Mr. Ive. "There's something I've wanted to say to you for a multitude of years… it's about refining our friendship, rethinking what we mean to each other in a way only we can do, Abigail." Apple is getting into everything these days. Do you all think they appear to have a solid game plan or are they just throwing things against the wall and seeing what sticks? Please keep making the great hardware you have been. Please improve your software that is buggy as hell lately. Please stop trying to do more and more half assed stuff like apple music, and TV content. I agree that Apple needs to fix a few things. But there are writers and directors who will be making content that will end up somewhere... be it Amazon, Netflix, Hulu, etc. So why not on Apple's platform? Apple will write a check and a production company will make them. They will simply premiere on Apple first. Just get Larry David, Seinfeld and Tina Fey and make them work the magic. As many negative things people are going to come up with, and as much as I doubt this anytime soon, I think Apple's cash and creative expertise could potentially mean high quality Hollywood collaborations and fantastic productions! Who knows! I worry about Apple being stretched to thin and having too many irons in the fire. We've got the Watch now; who knows how that will evolve and where else Apple will go in the wearables space and what the future is for ResearchKit. We don't know what Apple's plans in the home automation space are. Apple Music is still far from great. Siri could be so much better, same with Apple Maps. Apple has made lots of changes to iOS and OS X over the last 3 years that require more polish. We have Apple making a big push in the enterprise. There are rumors about an iPad "Pro" and of course the Apple car rumors. I think Apple has a full plate right now and I worry they're trying to take on too much and the user experience suffers because of it. That could be really interesting with Apple's deep pockets. And smart. Netflix and Amazon Prime have most of the same free movies but Netflix keeps me paying $8 per month because I love House of Cards. I'm not sure what happened to a thousand noes for every yes but Cook needs to start saying no. Maybe this turns into nothing or is nothing more than Apple paying for exclusives (though I hate exclusives). But if Cue wants Apple to get in the content production business then I seriously think the board should consider spinning off Beats and Cue can go run it as a separate company. This is the reason I lost faith in Amazon as an investment-- they're so busy making sure they're doing everything the cool kids are doing that they've lost track of who they are. I believe in Amazon as a retail and cloud services company, but I have no confidence in them as a device and content company. If Bezos wants to make phones, start another company. Same logic here. Apple is great at devices and I think they can learn to build a delivery system to feed those devices, but I don't want them competing with their content providers. I also don't want device sales threatened because some faction out there finds their programming offensive and I don't want the programming to be bland because they're afraid to offend someone.